Why are we reviewing the Scheme? Community Councils are created and governed through a Scheme of Establishment developed by each Local Authority. It is at the discretion of each Local Authority area what the content of any Scheme is however they must be periodically reviewed. The current Scheme commits the Council to a review within each Local Government electoral cycle. It also appears timely to review the current Scheme when the role of Community Councils is being discussed more widely. The foundation of the Government’s and COSLA’s Governance Review is that it is often better for decisions about the issues that affect communities to be taken with more active involvement of those communities and asks how this may happen within communities. A key question for this Review must be what is the role of Community Councils? The Commission on Highland Democracy reported last December and highlighted that there were diverse views across Highland on the role and value of Community Councils, with some concerns that they do not represent the range of community views. It noted that many Community Councils found themselves in ‘no man’s land’ and that there was a need to focus on their role and function. How can we involve and engage more people in Community Councils? What is the role of Community Councils going forward? We also know that many Community Councils are struggling in terms of sustainability. Communities have changed; some have grown but others have seen their populations falling. Just under a third of all Community Councils have populations of less than 500. Since the last full Community Council elections in November 2015 we have had 76 interim elections and it is estimated that Community Councils are only at around 60-70% elected membership level, leaving approximately 400 positions unfilled throughout Highland. This leaves Community Councils vulnerable to falling into abeyance and leaving communities without representation. Can Community Councils continue to operate sustainably at their current size? It is therefore important to consider how the Scheme in Highland could be amended to support the work, operation and sustainability of Community Councils. This initial phase of engagement is designed to stimulate discussion and thoughts and poses some challenging questions about potential new ways of working and operating to address some of the challenges currently facing Community Councils. Some of the thoughts and ideas that emerge may require legislative change and the Governance Review presents a good opportunity to bring this forward nationally. It is important that you as Community Councils are involved in this and we welcome your views. 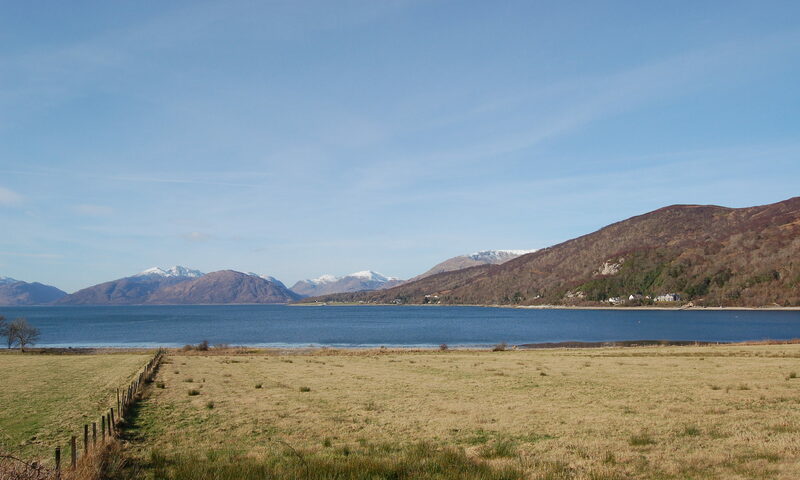 The current Scheme of Establishment for Community Councils in Highland came into effect in 2011. The Local Government (Scotland) Act 1973 (section 53) states that every Local Authority shall from time to time review the Schemes made and approved under this Act and shall involve Community Councils and the wider public to make representations regarding the proposals. In order to review the scheme under section 53 of the 1973 Act the Council is required to undertake a two stage process. •	Stage one – the formal decision to review, and the outline proposals, needs to be passed by not less than two-thirds of members voting at a special meeting of the Council convened specifically for that purpose. Public notice is then given of the intention to review along with details of the proposals, with Community Councils and the public invited to make representations regarding the proposals. b)	those proposals as amended to take account of any such representations. However, should the proposals be amended following representations received during stage 1, then further public notice shall be given and an opportunity for the public to comment on the amended proposals. The final decision to amend the Scheme needs to be passed by not less than two-thirds of members voting at a special meeting of the Council convened for that purpose. Before we proceed with stage 1 and publish any proposed amendments, we need to develop a proposed set of changes for the revised scheme. We are keen to do this along with Community Councils to ensure that the proposals put forward are shaped and reflective of what Community Councils identify as priorities. o	Scottish Government Scheme Review – posing the key questions from the review which can help inform our own Scheme review and be shared with the Scottish Government and COSLA. o	Your role as a Community Councillor – seeking views on your role. •	The second strand of engagement will be through a series of drop in sessions during September to enable Community Councils to come along and share their thoughts about potential areas for development. Details of these are being finalised and will be circulated shortly. Following the initial engagement, a series of proposals will be developed to be considered by a special meeting of the Council on 25 October 2018. Should these be agreed, a three month public consultation would be held on the detailed proposals. In addition to any response agreed by the Community Council, individual Community Councillors are also welcome to respond and the feedback form enables you to do this. Should you have any additional comments please feel free to email: policy6@highland.gov.uk or to speak with your Ward Manager. When reviewing the Community Council Scheme, this provides an opportunity to consider the boundaries of Community Councils. It is a chance to consider whether the boundaries that define your Community Council still make sense. Many communities have experienced changing populations caused by new developments or by population decrease. Does this now make your Community Council too large or too small? However it is also an opportunity to consider the sustainability of Community Councils. Since the last full Community Council elections in November 2015, there have been 76 interim elections for Community Councils. Interim elections occur when the number of elected Community Councillors falls below half to the total membership. Although many of you have attempted to encourage wider involvement and to co-opt on additional members, we know that many of you are operating near to or just above your minimum level. This makes Community Councils very vulnerable to going into abeyance leaving communities without representation. Part of this review needs to consider how we can make Community Councils more sustainable in different ways. Could a change in structure/boundary assist in helping to support the operation of your Community Council? 3. Are there boundary changes that your Community Council would like to be considered? 5. Has your Community Council struggled to operate because of a lack of members? 6. Thinking about your response to questions 4 and 5, if your Community Council is too small or struggling with membership, would you consider enlarging your Community Council to create a larger pool of people to recruit from? This may be considering merger with one or more neighbouring Community Councils or about changing the existing boundaries? 7. Thinking about your response to questions 4 and 5, if your Community Council is too large, would you want to consider changing the boundary in order to help it operate more successfully? A third of Community Councils have populations of less than 500. This can make it challenging to attract membership when the number of people available locally is low. 8. Should there be a minimum population size set for each Community Council in Highland e.g. 2,000? What should this be? 9. To help align and strengthen the links between Community Councils and other local groups, should larger existing geographies such as Associated School Groups be used for Community Councils? In addition to the question about the size of Community Councils, another way in which to increase the sustainability of Community Councils would be to consider current eligibility and membership of Community Councils. At present only those who live in the Community Council area and are on the electoral role for that community are eligible to stand for the Community Council. 10. Given that many people now live and work in separate communities, should this be broadened to enable anyone who lives in the Local Authority area to be eligible for standing for a Community Council in Highland? 11. Do you have any other ideas about eligibility for Community Councils? At present, members of the Community Council are either elected or co-opted. This makes up the total membership of the Community Council. In order to increase involvement and membership, the Scheme could be amended to make allowances for additional members from key community groups to be core members of the Community Council e.g. a member of the parent council, a member of the youth forum. This could be optional for Community Councils but would enable additional members to be brought on and strengthen Community Councils, particularly where numbers are low. 12. Do you think additional places, should be allowed for key community groups? If yes, which groups would be important? 13. Do you think that existing places on the Community Council should be set aside for key local community groups e.g. parent council, youth forum? 14. In order to encourage youth representation, should youth membership be formalised by having an additional place for a youth member (14-18)? 17. What else could the Council do to encourage participation and involvement in Community Councils? 18. What could you as a Community Council do to encourage participation and involvement in your Community Council? Recent research has suggested that one way in which to encourage broader involvement in democratic bodies like Community Councils would be to annually select people at random to serve on the body for a set period. This encourages wider involvement from a boarder range of people within the community. This could not be introduced for Community Councils without a legislative change however it may be something that could be trialled in addition to existing membership. 19. Is this something that should be explored in Highland? 20. Would your Community Council be interested in trialling this approach? 21. Should the new Scheme consider adopting a method of electronic voting in order to increase participation in Community Council elections? The formal role of Community Councils is set out within the 1973 Local Government (Scotland) Act. This states that in addition to any other purpose the Community Council wishes to purse, it is the role of Community Councils to ‘ascertain, co-ordinate and express….the views of the community which it represents.” This definition has not been reviewed and the Council has no formal powers to amend this, however Community Councils are now taking on a range of roles and as part of this review it would be helpful to understand what roles Community Councils feel should be articulated. 22. What roles/areas of work do you think should be defined as belonging to the Community Council? 23. Is your Community Council interested in taking on specific duties/new areas of work? If yes, what are you interested in? 24. To what extent, would you like to be involved in decision-making in your area? 25. To what extent would you be interested in taking part in community discussions about how local services are provided and making choices about these within our budget limits? As part of the move to greater participatory democracy, work nationally has suggested that given their role within the community, Community Councils could provide a key role as facilitators of views within the community. At present Community Councils act as representatives however as facilitators this would involve running forums to produce ideas and solutions to support other community and public sector bodies. 26. What do you think of this as a potential role for Community Councils? There is no basis within the legislation to impose sanctions upon Community Councils or Community Councillors should they not be operating effectively. However, it has been suggested that despite this, a formal complaints procedure to accompany the Scheme would support Community Councils in how best to manage complaints. 27. Would your Community Council be supportive of introducing a complaints procedure? 28. What would the Community Council like this procedure to contain? As all Community Councils will be aware, the administrative grants have been reduced as a result of the budget saving in February 2018. The existing formula was recalculated in order to meet the requirements in the Scheme but it seems appropriate to review whether this existing formula and approach is still suitable. 29. Should there be a defined list of what spend the administrative grant should pay for? If yes, what should this include? 30. Should the core amount per head be the same for each Community Council? 31. Should there still be an amount to take account of population and geography? An alternative to a formula, creating a standard grant for each Community Council, would be to retrospectively pay for spend up to a certain amount and only if Community Councils do not have funds in the bank. This would ensure all spend is appropriate and that large balances are not accrued. This is an approach which has been adopted in some other Local Authority areas. 32. Is retrospective payment something the Council should consider? Please give us your views. The Scottish Government are currently undertaking a review of Governance in Scotland. This follows a growing recognition that it is often better for decisions about the issues that affect communities to be taken with more active involvement of those communities. •	how could this be made to work locally? When we in Highland are reviewing the Community Council Scheme with a key focus on making Community Councils more sustainable, it seems sensible to consider these questions as part of our review of the Community Council Scheme. Many people will have experienced decision-making processes that affect their lives and the public services they rely upon – whether at a national or local level. How easy is it to get involved and have your say? We are keen to hear what can help you share your ideas for what can help your community to thrive. Some people may feel excluded from these decision-making processes. It is crucial we understand the barriers experienced. 34. Tell us about your experiences of getting involved in decision-making processes that affect your local community or community of interest. People are also increasingly playing a more active role in ensuring that their voice is heard when decisions are made about the issues they care about most in local communities, and by taking decisions for themselves. This review is about identifying new approaches that will ensure these different ways of taking decisions that complement each other to best effect. 35. Would you like your local community or community of interest to have more control over some decisions? If yes, what sorts of issues would those decisions cover? Through the Review we want to understand what types and sizes of community make most sense to people, and why. It’s a complicated issue, and we want to hear what you think would work. 36. When thinking about decision-making, ‘local’ could mean a large town, a village, or a neighbourhood. What does ‘local’ mean to you and your community? We want to explore how all public services, councils and the Scottish Government can make this work. Existing groups that take action and are part of decision-making in communities include council area committees, area partnerships, community councils, development trusts, community based housing associations and community led groups and organisations. Perhaps all of these different structures and processes could be built on, or developed, to support greater levels of community decision-making across public services and to strengthen local democracy. That might include sharing powers or resources differently between the Scottish Government, councils and communities, a second, more local, layer of local government, or other potential ideas. 37. Are there existing forms of local level decision-making which could play a part in exercising new local powers? Are there new forms of local decision-making that could work well? What kinds of changes might be needed for this to work in practice? This is a big topic and the questions we’ve asked you to consider here won’t have covered everything that will need to be explored. This will happen as people come forward with their ideas and the conversation builds. We’d like to take this opportunity to ask you to make any final points you feel are important, and invite you to ask any questions that will help you to remain part of the conversation. 38. Do you have any other comments, ideas or questions? Is there more you want to know? 39. How satisfied are you (as an individual or as a Community Council) in your role on the Community Council? 40. What frustrates you most (as an individual or as the Community Council) about your role on the Community Council? 41. What do you (as an individual or as the Community Council) enjoy most about your role on the Community Council? 42. Please provide any further comments you would like to make on areas of the Scheme that you would like to see amended or about the role and responsibilities of Community Councils.